You might remember sit-ups as being a staple of the calisthenics program in your high school gym class. They seem simple enough. You lie down, clasp your hands behind your head touch your knees with your elbows. If this is done with the incorrect form, you can hurt your back, according to Men’s Health. Using your hands to pull up your head can put too much pressure on your neck and upper spine and can result in a herniated disc. Doing sit-ups improperly will also put a strain on your lower back. This is another classic exercise that can put too much pressure on your back. The exercise is designed to stretch the muscles in the back of your legs. But according to Prevention Magazine, it’s a recipe for back pain. One of the things that trigger back pain is the fact that hamstrings tighten as you age, Bob Fischer, a personal trainer told Prevention. If you sit for long periods of time that tightens hamstrings too. Lifting weights can build upper and lower body strength but lifting weights with poor technique can be a disaster for your back. A straight leg deadlift can strengthen your lower back if you’re healthy and it’s done properly. Performing a deadlift requires the weightlifter to pick up a barbell off the ground, lift it to the hips and then lower the weight back to the ground. When done properly, this can help with lower body strength, but if you allow your spine to round out while performing a deadlift, you can injure your lower back. If you already suffer from back pain, you should avoid this exercise completely. Lying on your back and slowly lifting both your legs is meant to strengthen your lower back, but it’s more likely to cause you pain especially if you already have back problems. That’s because it’s very difficult to do this exercise and attempting it will put incredible strain on your back because it’s difficult to keep your back from arching while doing the exercise. This is another problematic weightlifting exercise. A big part of that is being positioned awkwardly at an angle, according to Men’s Health. This increases the risk of a tear and can also aggravate a bulging disc if you have any. 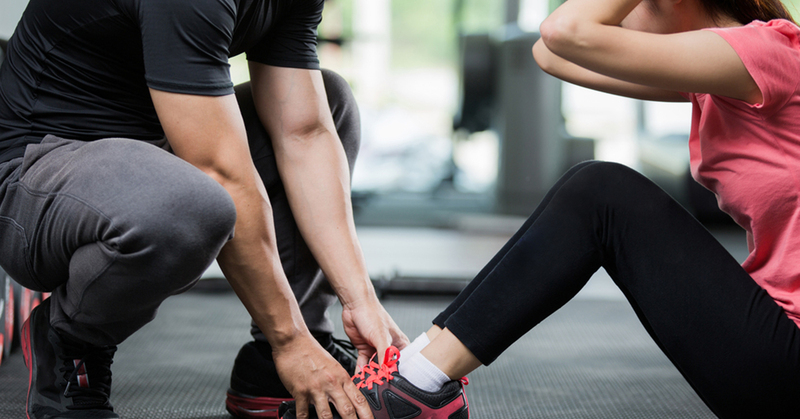 Exercise is important and at Total Chiropractic Care and Wellness, we’ll teach you how to perform exercises that will strengthen your back as well as any other parts of the body that may be causing you pain. We’ll also give you advice on diet and lifestyle and discuss any chiropractic techniques that might be right for you. If you’re looking to deal with back pain or just want to maintain a healthier lifestyle, contact Total Chiropractic today!